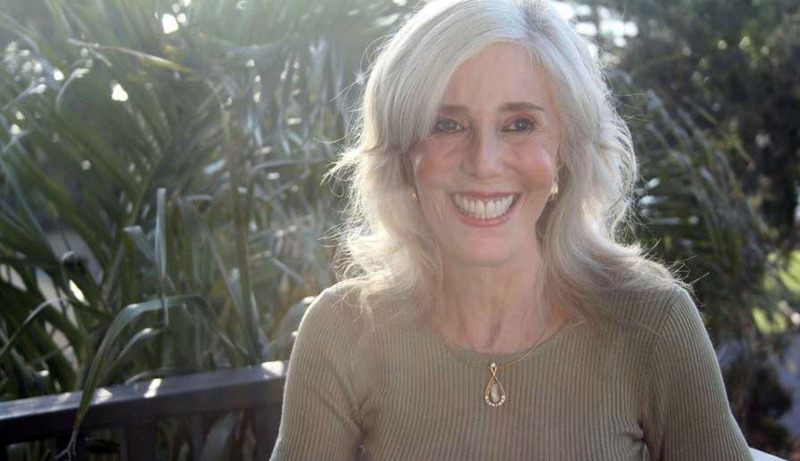 Jan Spiller’s groundbreaking work in astrology has touched the lives of millions around the world with her books, speaking events, and personal astrology readings. We invite you to please share your story about meeting Jan or how her work has influenced your life. This page is an ongoing memorial to Jan where you can leave memories, blessings, and messages of love. 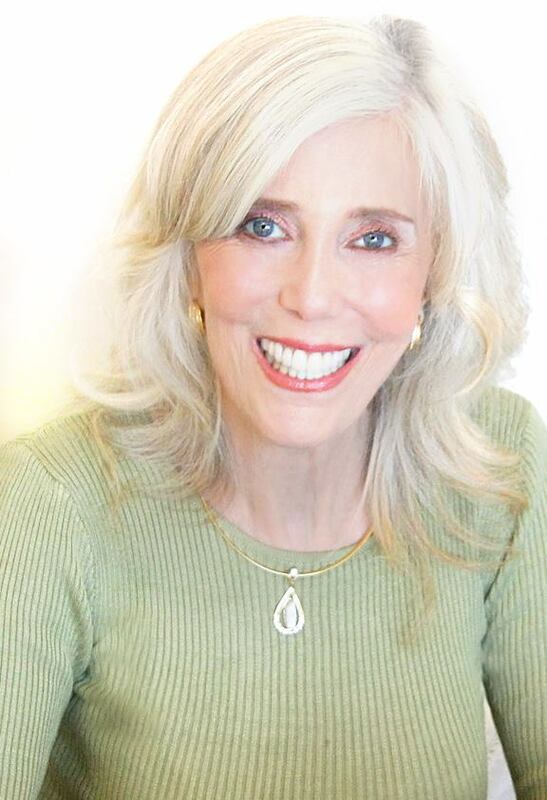 Jan Spiller’s groundbreaking work in astrology has touched the lives of millions around the world with her books, speaking events, and personal astrology readings. We invite you to please share your story about meeting Jan or how her work has influenced your life. This page is an ongoing memorial to Jan where you can leave memories, blessings, and messages of love. Jan was my personal astrologer in San Diego during in the early 1990s. At one reading Jan delighted in informing me that my chart showed a seamless integration of the male and female elements of my personality. About 20 years later I am fully engaged in transition to my authentic female persona. Thank you Jan for showing me the way toward becoming my true self! Jan had a radio show at one time and I was fortunate enough to speak with her. She was the second reader that I had encountered in my life. The reading was accurate and necessary but more importantly Jan delivered the insights with empowerment and compassion that gave me a lift to start going after my dreams. I always came back to her website year after year to learn about new things. One of which was the granddaddy power period. I’m currently in mine. She opened my eyes to a new portal that gave me possession over the magick that can take place in my life when I embrace the true me. Jan gave access to astrology in ways that was truly helpful and the way she passionately expressed the many gems of reports and insight made me feel confident about learning more of the thing that today feels like home and at one point use to feel foreign to me. I recently dedicated my YouTube video on the new moon wishes to her. Jan you’re an amazing beautiful energy. Thank you for being an extraordinary gift to this planet. I am very saddened by the news of Jan’s passing which until tonight I had not known. Her book on the nodes has been pivotal to me in my understanding and rendering astrological charts in the best way for my clients. I now work from the idea that our chart depicts the personality or route through which we get to actualize our spiritual selves and live our purpose. I have found that as people align with this interpretation, this new perspective on their lives offers them an opportunity to become the changes that feel right for them. Thank you, Jan, for your invaluable guidance along this path. I was so fortunate to meet Jan in 1999 in Fair Oaks, California. I was working at Cheshire Rose bookstore and she was giving talks and readings. As we sat upstairs she revealed to me that while she was here as an astrologer, she had come to meet two people. She told me about a teacher she had been with and that I might want to inquire into that lineage. I had a life changing vision that appeared outside the window behind her as she spoke. Thank you Jan for honoring the Truth of who we all are. I met Jan in a synchronistic way some 8 or 9 years ago. I had invited an acquaintance to dinner, and as we were talking, this acquaintance mentioned her good friend, a well-known astrologer—who turned out to be Jan. I knew nothing about astrology, but I had experienced some meaningful synchronicities in which spirit guides had used astrology to communicate with me. As a result, as soon as I heard “astrologer” mentioned, I was alert to the possibility that I was getting a signal from my invisible friends, and as my acquaintance continued to talk, I began to feel that the reason I’d invited her to dinner was that my guides wanted me to know about Jan and her work. Not long after, when I read Jan’s book, Astrology for the Soul, that intuition was confirmed. 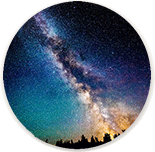 Astrology for the Soul was extremely helpful to me, as I know it has been for many people. It gave me insight into some of my life challenges and confirmed inner experiences in a way that I think is highly unusual. Later, when I met Jan in person, I told her that I’d been led to her work in this way, and I know she understood that and enjoyed it. I saw her socially quite a few times, and for a while, worked on her website. Recently we hadn’t been in touch, so I was taken aback when I came here and discovered that she’s left this world. Jan was someone who was so atuned to the spiritual that death seems like a less abrupt transition in her case. My first thought was an admiring recognition that Jan used time well. She understood that she had a mission and she lived accordingly. She had a delightful laugh, and she liked to instigate and make things happen. I can imagine she’s having fun as a spirit guide. Thank you, Jan, for your wisdom and guidance. I just learned of Jan’s death today as I was searching for the site for the current Moon transitions. My heart is broken and I know that the world is a little less harmonious with her loss. I discovered her books as I was going through my divorce. They and her website helped me to understand not only that period of time but also my purpose in this life. I am forever grateful for her presence and gifts to the world. Her life and gifts have helped my friends and so many people. You are missed. I just heard today that Jan Spiller has passed and although I never met her in person, she touched my life through her work and her books. I started doing new moon tarot and other practices that I learned through her work. I do feel she is still present in the stars and helping from the other side. Jan, wow I am so saddened and I know that her transition is so that she will help us on the other side and also return powerfully. I am in awe still at this news. Jan is the greatest Astrologer I ever knew. She was warm generous courageous and way before her time. I truly had a love for her and would recommend anyone who would want an astrology reading to come to her site. Jan was a true wayshower in every way. I meet Jan when I called during her radio show and the impact she gave with her reading and her words were so grounding and impactful I can still remember the energy of our meeting to this day. Present vibrant loving warm sincere and awe-incredible. I will always remember and cherish your physical presence on this plane and know that you are on the other side serving and being a beacon of light for all of us. I love you. I am truly saddened to hear about Jan’s passing. My heart is heavy, but also heavy with gratitude. Jan’s work has been profound for me, especially Astrology for the Soul and Spiritual Astrology – both books I’ve given as gifts to dozens of friends, family and colleagues over the years. Those 40 or so pages in Astrology for the Soul changed my life while I was at a very dark place now nearly 10 years ago. How could a book so clearly and accurately describe where and how I was stuck and what was needed to let go from my life and see the patterns that I needed to break. The fact that this was the first book ever to explore the North Nodes in this way is startling. Bless you Jan! Thank you to her team for continuing to honor her work and support so many others in the world. I was shocked to learn of Jan’s death just now, more than a year after her passing. Thank you for keeping this page to continue her teaching. 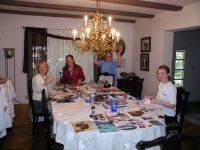 I was lucky enough to attend an astrology workshop with Jan more than 15 years ago. I followed up with a private consultation. Jan exuded compassion, was funny, and down to earth, and expressed that she always knew she wanted to help people. In my very limited personal encounters with her, I found many pearls of wisdom. I love her books which contain her wisdom and continue to inspire me. Thank you, Jan, for sharing your beautiful spirit. I too only learned of jan’s death today. I want to say..no too early surely. But I have no idea why she needed to go now. It is also the new moon in sag. Tomorrow. Such an appropriate time to send wishes to someone I never met but that doesnt matter. Her life sounds amazing. Blessed be. I wasn’t aware until now that Jan had passed away, and I feel sad to lose her. Her books are still the ones I turn to most often. When I show her books on the Nodes to people who don’t believe in astrology, they are always amazed/shocked how accurate her descriptions are. I value her takes on the Prenatal Eclipses: For example, it helped me to learn that I had 2 Prenatal Lunar Eclipses to deal with before I could finally get to my Prenatal Solar Eclipse. I’ve re-read my own North Node sign and house placement a few times every year for about 13 years, and no matter how much I think I’ve evolved, I always find something new and challenging (which of course is a good thing!). I use her New Moon book religiously to make my wishes, and I have found that this really helps guide me. After an extremely difficult life, I have finally arrived at a place where I see WHY (and feel fortunate that) I had such a difficult life. I am 72 y.o. and will be working entrepreneurially with people who experience anxiety, as well as those who fit the definition (like I do) of Highly Sensitive Person. I’ll be life coaching and facilitating mindfulness meditation support groups. I’m entirely self-taught (tho I absorbed the wisdom of many people, including Jan). Over the last year I had so many “lessons” to learn, and I wasn’t always happy about that. But I can see now how necessary they were, since my tendency to want to “fix” people (being a codependent enabler) has been almost completely “erased.” This kind of approach wouldn’t be at all appropriate in the work I’ll be doing. I will be sharing Jan’s wisdom with the people I work with, and she will live on in my life and the lives of others. My mom introduced me to Jan Spiller’s books and her philosophy on new moon and astrology years ago. I’ve utilized her teachings to write new moon wishes for years and always visit her web page when I’m looking for a boost of inspiration and guidance. I didn’t see that she had passed until today and want to share that even though I never met her, she added so much positively and light to my life. Thank you Jan for your work and sharing your light with the world. I found Astrology for the Soul in 2006 during a darker time of my life. I’ve always been drawn to astrology and reading about north nodes brought me to a new level of personal empowerment. I bought as many books of Jan’s as I could find and have given away countless copies to friends, families, and strangers. Oh my gosh, her style and approach have a universal and timeless quality. I am so grateful she shared her gifts with the world. Love and blessings. I have never in my life met a woman with her grace. I spent my birthday with her. I didn’t know what a great gift it was to have that time with her. She has a way of bringing out the joy of love from within. I connected with her on a level that surprised me. I just fell in love with her. What a gift she was to us. Her smile was huge, her heart was huge. Her life was huge. I know I will never meet anyone like her. I will always remember her laugh. What a sweet and beautiful soul. “Spiritual Astrology” freed me from the perception that I was fundamentally flawed: I stepped upon the wheel of my natal chart, beginning my deeper journey into self-awareness and acceptance. “Astrology of the Soul” helped me to realign my actions with my soul’s purpose – to trust my Higher Power in all things. Jan’s work truly changed my understandings of how the tangible is interwoven with energies and forces of this Universe we cannot see yet witness daily… if we but have eyes to see. Thank you, Jan, for doing the work you lived in this fleshly form to manifest. This is a true story…. Story of facing the truth about me. I find out few hour ago that you left . We never met , I been reading your book for so long. The first time I read your book, I was in bed alone in the house and the first pace was even too much for me, I got so scared so ashamed and I close the book and stared to the ceiling if god was watching me , I was terrified , how some one can write these all the things which I was hidding so so deeply even from my self. I was so scared to face it. It took me years and still going on. I read it so many times because every time I read it I was thinking I didn’t recornise this sentence before. You and your book give me the hand to open up my awareness and lift me shift me. I am Turkish, I was leaving in Turkey. I never check you in internet I even tought You are male all these years until today. Now I know why I never wanted to know you all these years, because I was even scare to meet you even thourgh your web. You new everything about me . You make me grow up , I accept the good and the weak in me , I open my eyes the real truth , I am walking on the way to heaven on earth and today I know I will be very soon. Thank you for holding my hand with love and walk with me . My wish to be the hand with love to all. I kiss and hug you with all my heart. I am sorry to have missed the chance for a conversation or consultation with Jan Spiller. Her work is special and impactful and I’ve held her in mind as one of the top astrologers of our time — one who made the insights so accessible and personal. For me personally, her understanding of the influences of the moon in the 12 signs has been extraordinarily helpful. As for Jan, I’m sure she was a dynamic person with many admirable characteristics. I’m thankful I believe she can still hear and see and know those of us who appreciate her, and guide us along from the ethers if we ask. Congratulations, Stephanie on landing one very special assignment! — Theresa B. It is very touching to read the comments on this memorial page. Thanks to all who have contributed and will contribute. I had the great honor and pleasure to speak with Jan on her radio show about 7 years ago. I have returned to that conversation and to the notes many times. I treasure those precious moments we spent in mutually respectful deep conversation. I had no idea that Jan had transitioned from this lifetime onward. Today is a New Moon and I will forever associate its power with her and her dedication to empowering our lives with the science and light of Astrology. Thank you Jan! The New Moon Astrology has been my constant since July of 2004 and every month I renew my appreciation for all the effort that went into just that one service. Not only did she create & refine a positive approach to help people work with their energy, but all the suggested sample wishes from all the different areas, by astrological sign, by the North Node as well as by specific areas, was going beyond the extra mile. It is a book that will never be out-dated. We used to have Spring Equinox Treasure Map parties and I still do that every year on my own. I have a frame that every year I put the next one on top which solved the where do I put my old ones problem. Since it’s the New Moon and I am doing my wishes, I wanted to say Thank-You to the universe and hope she hears and feels the love. I was introduced to Jan’s work through my very wise doctor who works with complementary medicine. She suggested ‘Astrology for the Soul’. When I later saw her ‘New Moon Astrology’ I had to have it! I am getting ready to do the exercises for this new moon and learned of Jan’s passing. She’s really not far away and will be able to move even more freely to do her divine work. A Wise Owl, a True voice of Clarity every Time in kindness spirit and joy Thank you Thank you Thank you for your insights serving and continuing to serve so gracefully. Jan has been a part of my life since the day I came into this world. She and my father were close friends before I was born and so she immediately wanted to know what kind of person my dad helped bring into the world. Since then, I remember her as being a part of the family, attending birthdays or holiday gatherings and thinking of her as Aunt Jan. When she did readings for me, I felt like she was guiding me and giving me hope and strength to face challenges. When I was given the opportunity to become a part of the JanSpiller.com website team, I felt like I had finally been given a chance to contribute something back to Jan and am happy that I can continue to honor her legacy today. My fondest memory with her was in 2014 when I was going through several major challenges in my life. She invited me to her home where we “played dress-up” and I tried on and left with a few of her pretty skirts, dresses and scarves. Later, we had dinner together and laughed about the challenges of love. She was a major force that helped me to be strong through a rough spot in my life. She IS truly an angel! I miss you every day. Miss hearing your voie and our conversations over different items. I will dearly miss your insights for giving us the readings when we really needed it and for all the special advice. You were one of a kind Lady. I know you are watching down on us and guiding us to continue on with what you started and I hope that you are pleased with what we are doing. I know you are giving many readings up there and helping many spirits. Love you Always!!!! Jan gave me my first reading at the tender age of 9 or 10. She was working as a mentor to my mother, then studying astrology, as well. Jan encouraged her to make the move to New York, but we stayed behind in San Diego, and it was more than 10 years before I talked to Jan again. By then, she was living a completely different life in the big city, but she hadn’t lost the spiritual light which I had seen even as a child. Jan gave me invaluable advice at every critical stage of my life, and I was sorry to lose her so shortly after my own mother’s death. I spoke to Jan last in 2013, and she was as kind and supportive then as she had always been, astute and wise, as well. Jan was a shrewd business woman, a masterful astrologer, and a true light in a dark world. There will never be anyone else like that in my life again. I’m sure she was also for others what she was for me. I didn’t talk to her but once every few years, yet knowing I can’t do that anymore has left me feeling rudderless. Luckily, Jan left us her work in print as a guide. Thank you, Jan, for sharing your insight with all of us. Jan was a gifted astrologer that touched the lives of many. I read her posts daily and sure will miss her. I was fortunate enough to meet Jan through Emily Trinkaus, my astrological mentor here in Portland, OR. The first conversation I had with Jan was an interview she was doing on Sun Signs and she asked me about how I express my Sun in Aries. After just a few minutes on the phone it was as if we were old friends laughing and sharing common experiences. When I joined her web team at the end of 2012, it was like a dream come true for me. I couldn’t believe how lucky I was to be able to write horoscopes for janspiller.com! Over the past four plus years, Jan offered me valuable feedback on my astrology work and taught me how to enrich my interpretations of the planets, transits, and meanings of the North Node. As a teacher, Jan was always wise, compassionate, and encouraging. When I was going through a tough time in my life, Jan took time out of her busy schedule to look at my chart and offer the exact insights I needed at that time. When I think of the quintessential Leo – generous, regal, powerful, joyful, and creative – I think of Jan. I’m so excited that we can honor her here with this website and I’m grateful to be able to help keep her teachings alive.